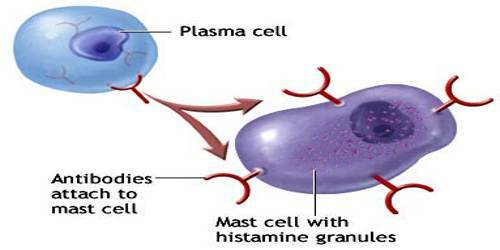 Plasma cell is a lymphocyte that originates from a B cell and produces antibodies as part of a humoral immune response. They are transported by the blood plasma and the lymphatic system. As with most cell types, plasma cells can mutate to give rise to cancer. Plasma cell malignancies include plasmacytoma, multiple myeloma, Waldenstrom macroglobulinemia, and plasma cell leukemia. It is also known as plasmacyte. Each plasma cell can secrete several thousand molecules of antibody, thus releasing a large amount of antibody into the circulation. The initial burst of antibody production gradually decreases as the stimulus is removed (e.g., by recovery from infection). Plasma cells may be short‐lived, surviving only 3–5 days. Generally, these secrete lower affinity antibody. Alternatively, plasma cells may be long‐lived, surviving decades or the lifetime of an animal, secreting high‐affinity antibody resulting from somatic hypermutation within a germinal centre reaction. Long‐lived plasma cells are primarily found in the bone marrow, where specialized niches provide contact and growth factors necessary for survival. 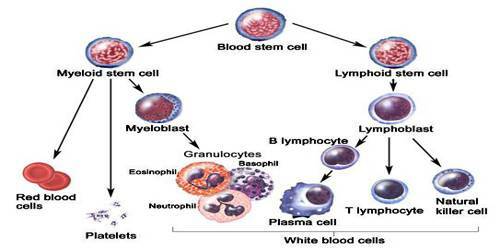 Plasma cells are terminally differentiated cells of the B lymphocyte lineage. They are committed to secreting antibody that provides an organism with protective immunity. It can be identified by high surface expression of Syndecan‐1 (CD138) protein, and little to no expression of BCR, B220 or MHC class II. Multiple cell types in the niches can contribute to the extended lifespan of bone marrow plasma cells. However, plasma cells are not completely eliminated when any one cell type is depleted, suggesting that all of the supporting cells are critical and contributing components. As B cells differentiate into plasma cells, they undergo molecular and morphological changes that better suit a highly secretory cell. They are easily identifiable via microscopy by their voluminous cytoplasm full of immunoglobulin and rough endoplasmic reticulum (RER). Plasma cells are terminally differentiated B lymphocytes that provide protective immunity through the continuous secretion of antibodies. The regulation of antibody production is linked to the generation and maintenance of plasmablasts and plasma cells from their B cell precursors. Plasmablasts are the rapidly produced and short-lived effector cells of the early antibody response, whereas plasma cells are the long-lived mediators of lasting humoral immunity. 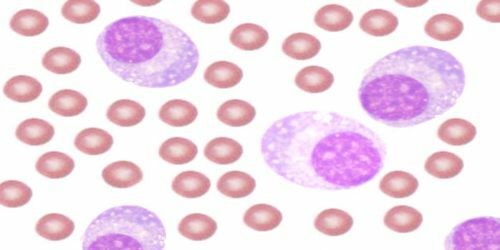 Plasma cells can arise from two developmental routes: one occurring outside the follicle and another within the germinal center. A B cell’s decision to follow one of these pathways is in part determined by the phenotypic subset to which it belongs and is also influenced by the nature of the antigen eliciting the response and the affinity of the B-cell receptor for that antigen. Once a plasma cell has chosen one of these pathways, the outcome of differentiation is relatively hard-wired. However, the phenotype of the plasma cells arising from these two pathways is distinct in terms of survival, location, and the quantity and quality of antibody they secrete. An extraordinary number of control mechanisms, at both the cellular and molecular levels, underlie the regulation of this essential arm of the immune response. Despite this complexity, the terminal differentiation of B cells can be described as a simple probabilistic process that is governed by a central gene-regulatory network and modified by environmental stimuli. 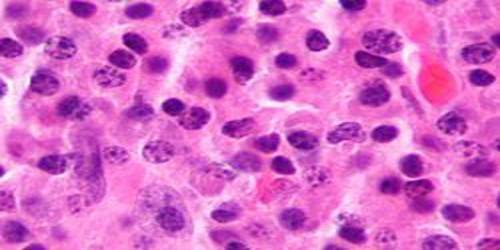 Plasmacytoma, multiple myeloma, Waldenström macroglobulinemia and plasma cell leukemia are malignant neoplasms (“cancer”) of the plasma cells. Multiple myeloma is frequently identified because malignant plasma cells continue producing an antibody, which can be detected as a paraprotein.